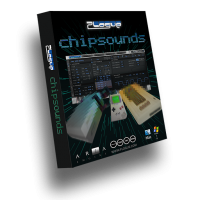 Plogue has announced that chipsounds, the software synth that faithfully emulates the 8-bit sound chips from classic video game consoles, home computers and arcade games has just been updated to 1.6. This update brings many new sounds, effects and features to this already feature-packed VST/AU/RTAS plug-in for Windows and Mac OS X. In this release, Plogue gives a wink to the legendary Amiga computer by making possible to import .MOD, .MED, and .IFF (8SVX) files. As a bonus, the famous ST-01 sound pack is preloaded, tuned and categorized. Added analog sounds and effects from 6 of the most iconic arcade games. Added PC Speaker beep and casing resonance effect (i825x PIT + Speaker Impulse). Added Custom Waveforms/Music Formulas (Viznut/co's Experimental music from very short C programs). Added 4-bit and DMC Mellotron Strings. 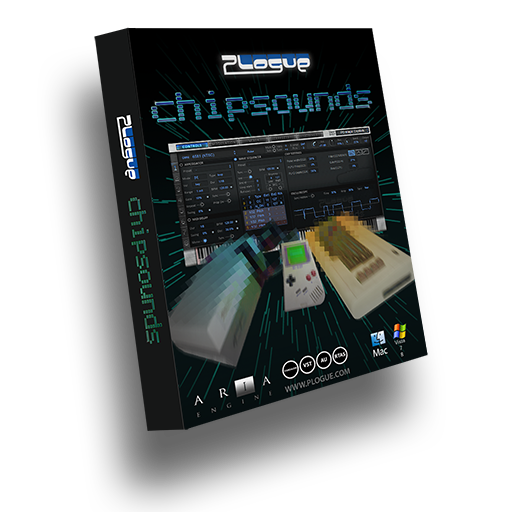 If you want to try out chipsounds for free or if you are a registered chipsounds user, you can download chipsounds 1.6 here. 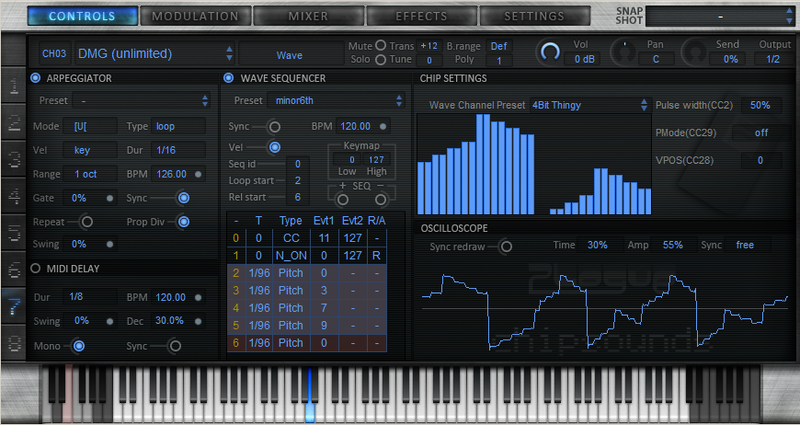 For one week only (until September 17th, 2012), chipsounds is offered at 47.50$ instead of 95$. You can purchase chipsounds here. Plogue chipsounds is a software synthesizer that authentically emulates the most famous 8-bit sound chips found in vintage game consoles, arcades and home computers. Any Mac or Windows musician can use this flexible virtual instrument in their favorite DAW. It is able to dynamically reproduce the accidentally discovered sounds effect tricks and musical techniques made famous by innovative chip music composers and classic video game sound designers, which for the good part of the last 3 decades, have pushed beyond the boundaries of the original chip designs.